The venue on its final night hosted "Oi Fest," which critics claimed is affiliated with Neo-Nazism. CHINATOWN — Music venue Santos Party House has suddenly closed after hosting a controversial punk music festival critics claimed was affiliated with Neo-Nazism on its last night. But the club’s website has events listed through the month of June, and has yet to post a public announcement of its closure. The venue has re-Tweeted a post dated May 26 from band Day Amongst Martyrs advertising a July 28 show, as well as a post from DJ Tony Touch advertising a June 3 show at the venue, indicating the decision to shutter was made in recent days. COME ON DOWN FOR A GREAT TIME! Event coordinator Jackalyn Tipchaieuh sent an email to groups who had booked shows at the venue announcing that May 29 would be its final night. “If you have an event after the previously mentioned date, please consider it cancelled,” the email states. The venue on its final night hosted “Oi Fest,” a punk festival associated with skinhead groups that critics claim promotes Neo-Nazism — though the bar’s manager defended the decision and denied knowledge of affiliation with any hate groups. The second night of the festival was moved to Santos Party House after Black Bear Bar in Williamsburg canceled the event due to an outcry on social media. 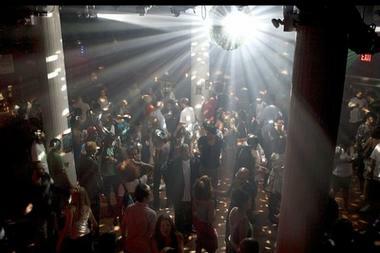 The club in 2010 was temporarily shut down by police due to drug activity.